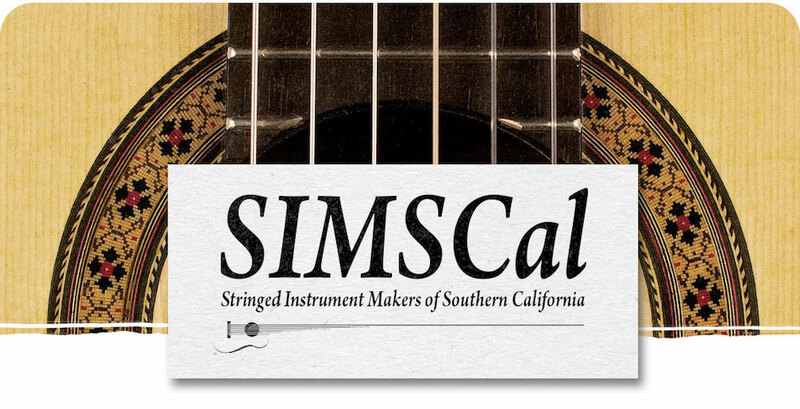 The Stringed Instrument Makers of Southern California, or SIMSCal, is an organization formed to promote association among stringed instrument makers (also known as luthiers) in Southern California, to further the understanding of stringed instrument building, and to help improve the instrument-making skills of our members. 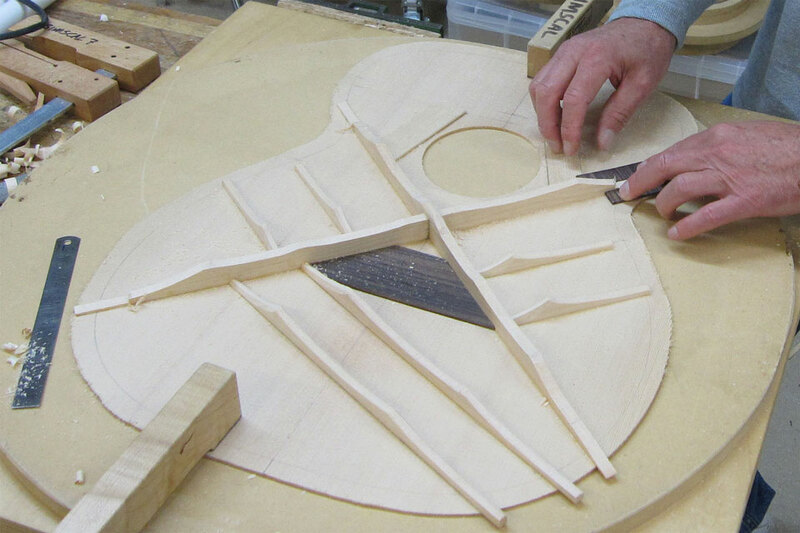 We also teach guitarmaking classes, hosted by Woodcraft in Fountain Valley, CA. Currently we offer instruction in Steel String Acoustic Guitarmaking and Nylon String Classical Guitarmaking. New classes start in January. Check the Guitar Building Classes page for details. Established in November of 2004, SIMSCal currently has about 50 active (dues-paying) members, consisting of both hobbyists and professional instrument builders, as well as a mailing list that reaches over 300. 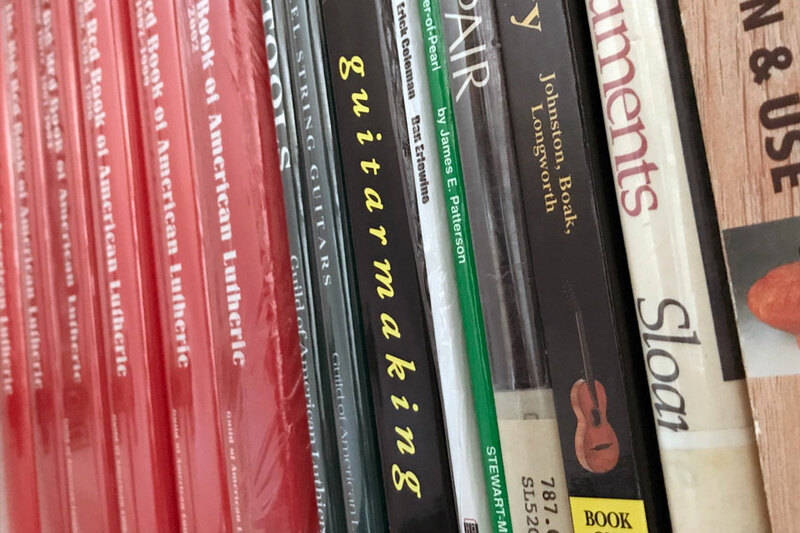 Our members build traditional, hollow-body instruments (including flat-top steel string, classical, flamenco, and archtop guitars, violin-family instruments, lutes, dulcimers, and everything in between), as well as solid-body, electric guitars and basses. Our goal is not only to provide members with meaningful information about lutherie, but also to promote the practice and tradition of lutherie within our local communities. 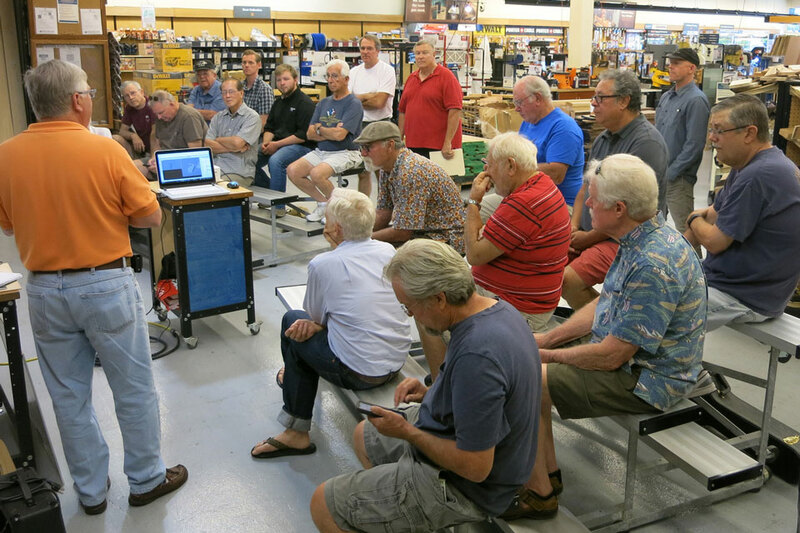 We encourage those interested to attend one of our meetings, hosted by Rockler Woodworking & Hardware in Orange, CA. Attendance at meetings is free, and open to the public. To become a member, we ask for a donation of only $10 per year. 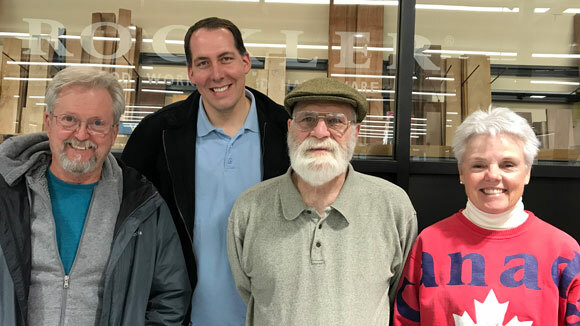 This money supports organization activities, and entitles members to product discounts at both Rockler Woodworking & Hardware in Orange, CA and Woodcraft in Fountain Valley, CA. If you would like more information about SIMSCal, visit our Contact Us page to send us your questions. L–R: Eric Nichols, Dan Greene, Carl Bernhardt, Sheri Peterson. See Meetings & Events page for details. For over half a century, the members of the Southern California Association of Violin Makers (SCAVM) held regular meetings and distributed a monthly bulletin to share knowledge and advance the art of lutherie within the violin family of instruments. In June of 2017, SCAVM officially merged with SIMSCal, in the interest of broadening the knowledge and experience of all of our members, creating a stronger, more vital organization. All former SCAVM members were automatically made active members of SIMSCal for the calendar year 2017. We are currently in the process of transferring the wealth of literature and educational materials from the SCAVM library into the SIMSCal library, as well. Thanks to SCAVM members Ed Glass and Jerry Welner, who recognized the overlapping goals and interests of the two groups, and proposed the idea of joining forces to the SIMSCal board. Explore What SIMSCal Has to Offer. . .
We offer classes for you to learn how to build a Steel String Acoustic Guitar or a Nylon String Classical Guitar. Participate in one of our upcoming meetings, where we discuss and demonstrate instrument building techniques. Our collection of Web Links, the SIMSCal Lutherie Library, Classified Ads, and Members' Lutherie Websites. 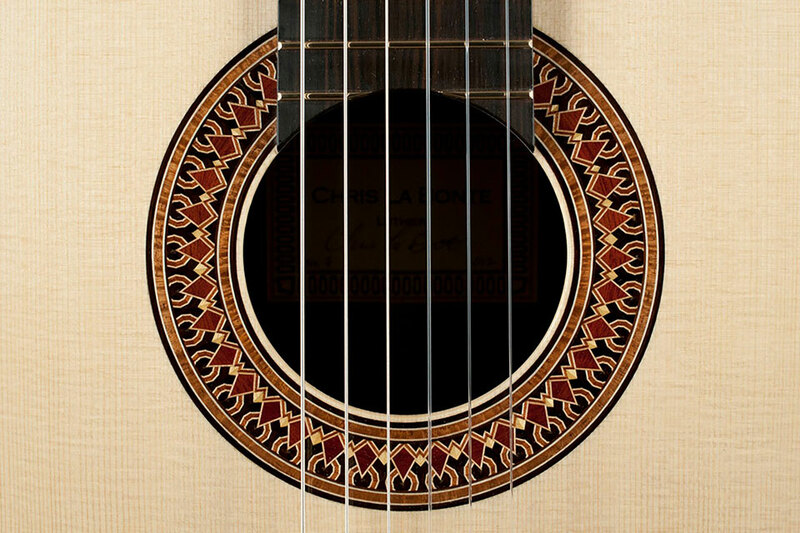 View some of the finest examples of custom, handmade stringed instruments by our members. Join today or renew your SIMSCal membership for 2019 for only $10. For your convenience, you can join or renew your annual membership via PayPal.